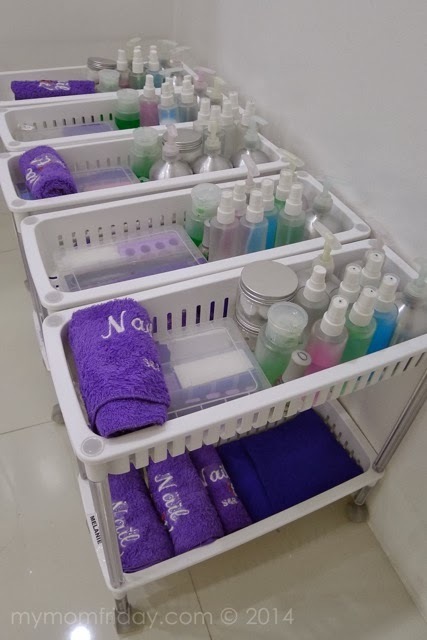 Before the holiday season, I was already planning on having some pampering session for myself and J. We've been wanting to have a massage to de-stress and ease our body pains. Too bad for us, it never happened. For my part, my feet were screaming for a pedicure since November. I ended up doing it myself. 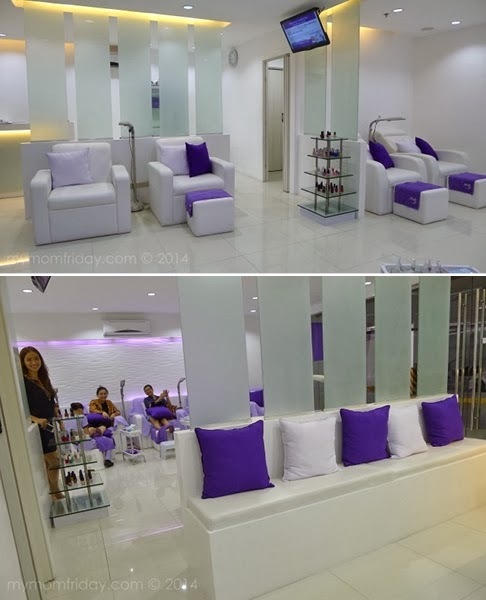 After new year, I was finally able to book a decent foot spa and pedi from the newly opened Nail It! Salon S&R branch along Shaw. The December break would have been a perfect time to get my nails done. However, between the gift shopping, parties, and sick days, it was just impossible for me to take time out, to think the salon is less than 10 minutes away from my place! The franchisee is a friend and I'm glad the invitation was extended until January since many of us who were invited to try the services were understandably too preoccupied during the holiday rush. 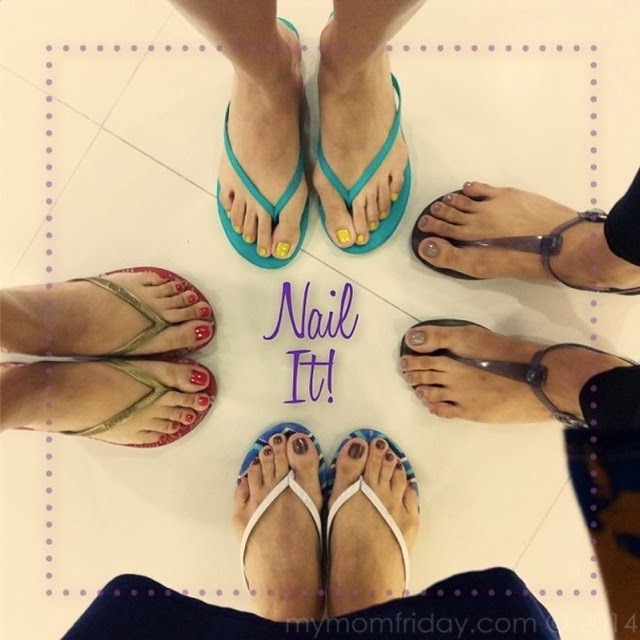 Last week, with three of my SoMom friends, we were able to enjoy our treatments at Nail It! We were there during opening hour so we had the salon all to ourselves! 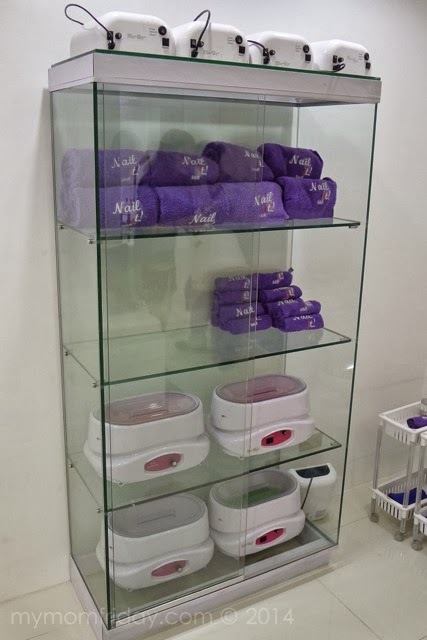 I availed of the pedicure with whitening spa and polish. The usual suspects. My choice of colors are limited to reds and neutrals. I don't know when I'll be ready to try out bolder and brighter colors, hehehehe... Here at Nail It! S&R, I was able to find my preferred shades easily, but I hope they can add more colors and brands to their collection soon. It was also harder to select and going through the bottles from the display stand. 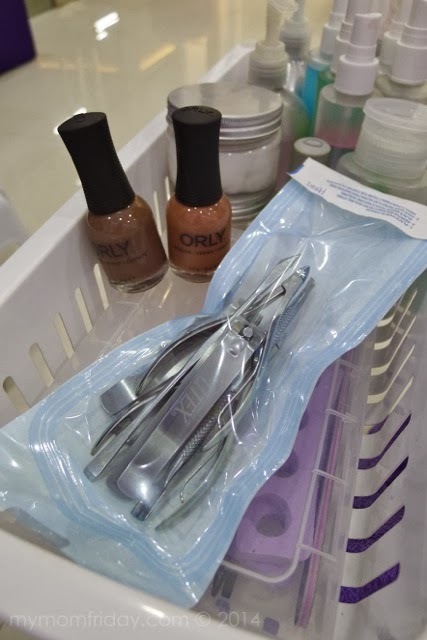 I was expecting a handy color wheel or swatches from the different brands, like Orly, Essie, and Opi, which will make choosing colors more convenient while customers are seated. I ended up with Prince Charming, a rich shade of mocha from Orly. As always, I enjoyed this spa-pedi, my first papering session for the year. 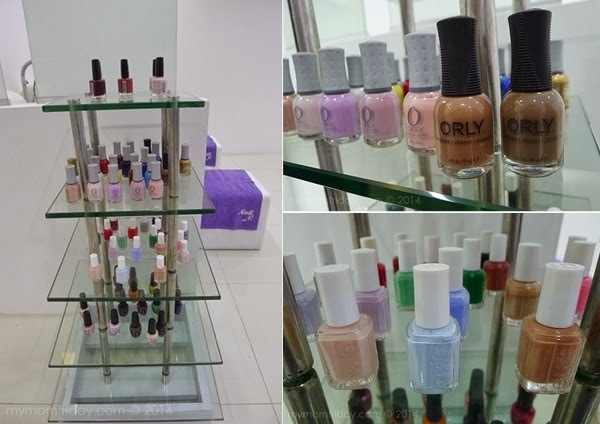 I'm really lucky there are a number of really good nail salons to choose from within our area, and now Nail It! is one of them. I do hope they maintain the quality of service, and squeaky-clean look they have now.